Lyndee-Jane is a well-known face around Circa Theatre, next on stage with The Ugly One (opening Saturday 11 July). But, do we really know all of the incredible things this talented woman has done? This week on drama* on the waterfront, we take an in-depth look at the force that is Lyndee-Jane Rutherford. 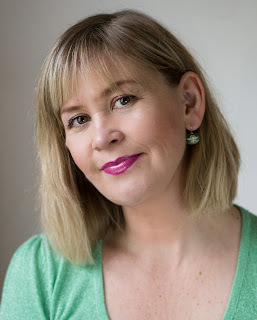 Originally from Feilding, Lyndee-Jane has worked extensively as both an actor and a director in theatre and television since graduating from Toi Whakaari/New Zealand Drama School in 1993. She has performed in over fifty professional theatre productions, including Who Wants to be 100?, Troy the Musical, Calendar Girls and In Flame, for which she was nominated for Chapman Tripp Actress of the Year in 2003. She was also nominated for Supporting Actress of the Year for both The Hollow Men in 2008 and Mauritius and 2010. In 2010 she toured nationally with Geraldine Brophy and Pinky Agnew with Grumpy Old Women and again in 2011 with their own play, Party Girls. Lyndee-Jane is also a well respected director, having led successful productions at professional theatres across the country. She directed A Shaggy Dog Story, Who Wants to Be 100? and Penalties, Pints and Pirouettes at Palmerston North’s Centrepoint Theatre, and Love Puke, Becoming the Courtesan and Hamlet Dies at the End at BATS Theatre in Wellington. She won the Chapman Tripp Theatre Award for Most Promising Director in 2006 with her production of Love Puke and was proud to have directed the Capital E National Theatre for Children production of Songs of the Sea that toured NZ and Australia. Lyndee-Jane has also enjoyed directing a number of student musical productions for Toi Whakaari/New Zealand Drama School, Whitireia and in 2009 she directed the sell-out smash Young and Hungry hit, Sit On It. 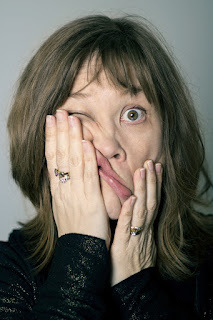 Lyndee-Jane is often recognised for her roles in television series such as Skitz, The Semisis, Telly Laughs, What Now TV, The Hothouse and the pre-school sketch comedy show Giggles. She directed the third season of Giggles (TVNZ Kidzone) and has also directed various field-stories for The Erin Simpson Show, What Now and The 4.30 Show. In 2013 Lyndee-Jane directed two productions at Circa Theatre, The ImpoSTAR and the hugely successful Midsummer – A Play with Songs, for which she was nominated for Director of the Year at the Chapman Tripp Theatre Awards. She also acted in Shop ‘Til You Drop at Centrepoint Theatre and directed Miss Bronte in Melbourne for the Adelaide Fringe Festival. 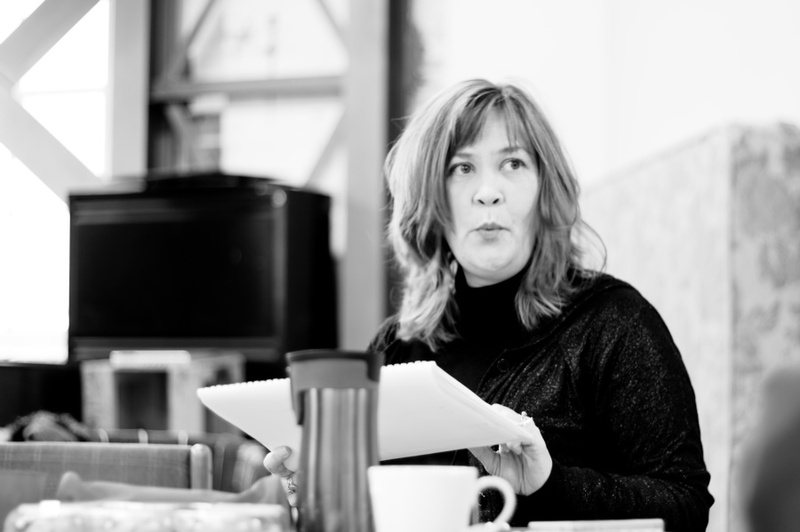 Early last year she directed a new season of the “triumphant” Miss Bronte at Circa Theatre. 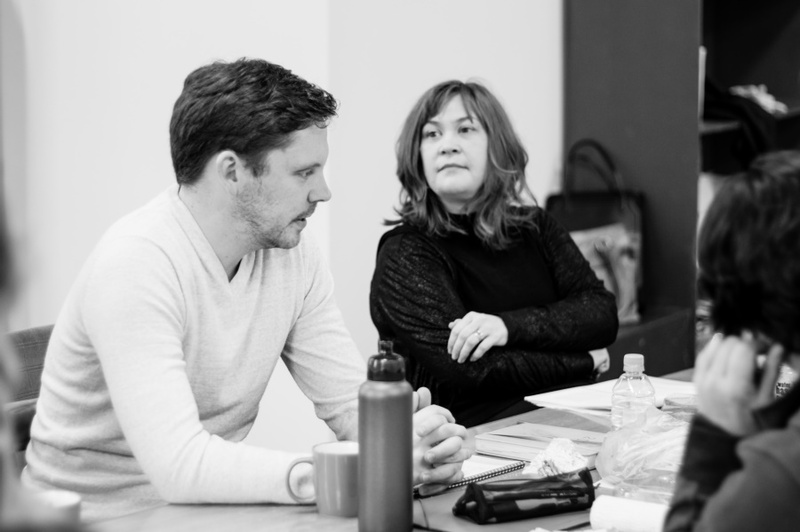 Paul Waggott and Lyndee-Jane Rutherford in rehearsal for The Ugly One. Photo by Tabitha Arthur. Lyndee-Jane is also on the Circa Council, a board of experienced theatre professionals who run this theatre. In the middle of 2014, Lyndee-Jane directed Grease for Wellington Musical Theatre and was thrilled to be invited back to direct Mamma Mia. Her most recent project was the Broadway musical The Mystery of Edwin Drood, right here at Circa. This "wild, funny and frivolous spectacle" (Theatreview) was one of the most ambitious projects Circa has undertaken in its 40-year history. Lyndee-Jane says she is "very excited to be back on the Circa Two stage with a fantastic cast, crew and a play that will be fun and entertaining." Lyndee-Jane plays 'Fanny' in The Ugle One. Photo by Tabitha Arthur. Text UGLY to 3920 to be in the draw to win! Don't forget you still have a chance to enter The Breeze ‘Embrace Your Inner Beauty’ giveaway. • A beautiful gift basket full of health and beauty supplements, among other exciting goodies, from Hardy’s Health Store Lambton Square. The Ugly One is on at Circa from 11 July – 8 August.